Zum Schluss geht noch ein massives Dankeschön an alle unsere Leser und Besucher, wir schätzen jeden einzelnen Kommentar von euch. Finally we would like to say a massive thank you to all our readers and visitors, we appreciate every single comment from you. We hope, you are enjoying your time here and hopefully we can also inspire you. Following you via GFC and twitter, now it's your turn.. Happy anniversary to your blog! Thanks for your comment on my blog! Of course I want to follow each other! I'm following you via gfc, twitter and bloglovin! Follow me back! thank you for commenting my blog. I'd like to follow you back. Congrats! Would you like to follow each other on GFC & Bloglovin? Please let me know. 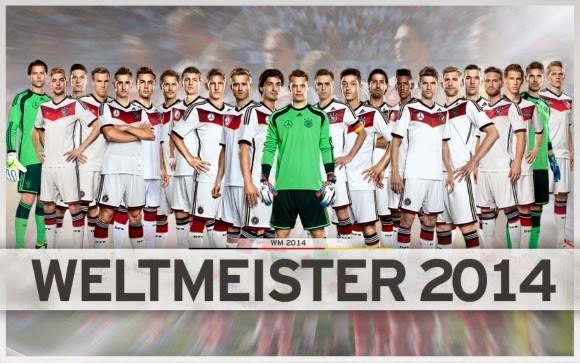 Wir sind Weltmeister :) :) und Dir Gratulation! Wollen wir uns vielleicht ueber GFC folgen?